be trained for​​ Search and Rescue. ​ "She was wonderful. A missing man since the night before, truck was found where he always parks to go swimming off a high trestle bridge, not seen since 5:30 sat evening. Had not been on his needed meds, had taking several sleeping pills before leaving (this was found out later) we got the call and arrived on scene noon on Sunday. Mother only had a pair of jeans for me to use as a scent article. So I bagged that and the belt separately in case another dog team would be coming in. Started Gunnar first as he is normally my go to dog with his experience. This area was now highly contaminated with searchers, family and ATV for many hours. Vehical was now gone so just had the general area where it had been. My first job here is to find the direction of travel, I didnt want to know which direction the bridge was so not to inadvertently influence the dog. Guns started nicely but seemed to be spending to much time wanting to eat grass, He just didnt seem to feel real good, and was not working well so I took him back to the truck and started Kimber. She took scent and did not hesitate to choose a direction and make a left turn onto the railroad past a foot searcher and another searcher on an ATV. She stopped at the High Trestle and hesitated, then shot down to the banks along the river and was trying to locate him. Here I rewarded her and brought Guns out in the search off lead for HRD. He did work well off lead and gave several alerts a little less then 1/4 mile down river. Search is now still underway, but I thought you might like to know how well she did. What she did for me was to establish a direction of travel, as a handler we cannot just listen to people say we think he is in the river, we need proof, or he could have finished swimming, got back to the trunk, then decide to take a walk in the opposite direction". ​​While the hunting instinct is strong in the Rhodesian Ridgeback, their double ability of sight and scent have proven extremely beneficial in a number of search and rescue programs. The Ridgeback can be found worldwide in drug sniffing dog programs but they are used more often in rescue efforts and for tracking down lost persons and sometimes even escapees. Their ability to sniff out quarry plus chase it down comes from their days of hunting in the African bush. Being developed to hunt the African savannahs has also given the Ridgeback a strong self confidence, allowing it to go anywhere in any situation with little fear. More than anything, search and rescue trainers say it is the attitude of the dog itself and not the breed that matters most. However, the Rhodesian Ridgeback has become a favorite because when out in the field, the breed is all business. They do not often give up or give in unless and until they have accomplished their task. The Ridgeback is also able to turn their ability off and on at precisely the right moments. When it comes to tracking down escapees, the Ridgeback has certainly been found intimidating enough to handle the task. Their lion hunting skills that found them harassing, barking and treeing quarry in their wilder days once again comes into great use in this area. 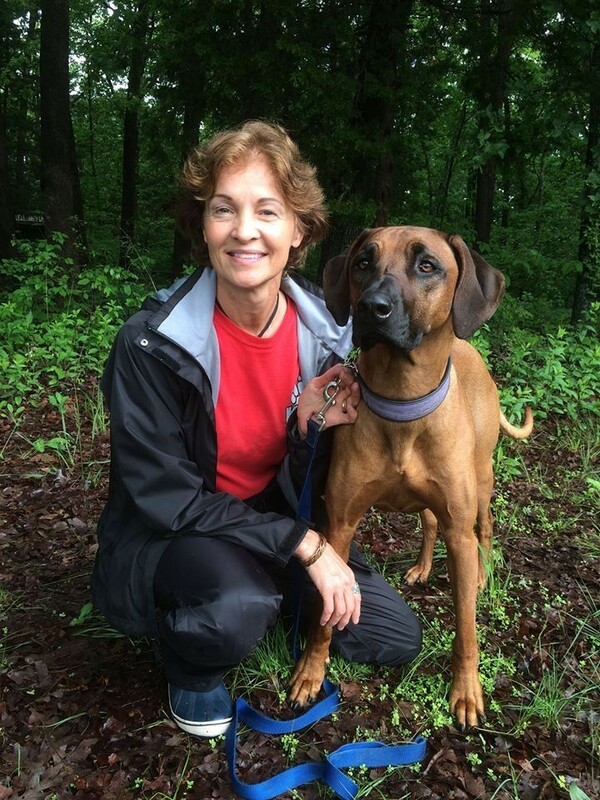 The Ridgeback also has just the physical characteristics that make a good search dog. Their webbed feet not only make them steady on snow or sand, they have a great deal of stamina that allows them to search for extended periods of time. They are perfectly comfortable in the hottest of climates as well as the freezing cold. One of their best traits is a wonderfully developed lung capacity. This enables them to get a short burst of energy and quickly chase down their target. Time and time again, the Rhodesian Ridgeback has proven itself a good choice when it comes to rescue operations in a number of terrains and all types of weather. They are well suited for SAR: thick pads, high endurance level, excellent nose, love to work, and most importantly love people. The fact that they are classified as a sight hound often overshadows the fact that they are scent hounds first and foremost. They just have the added advantage of being able to see whatever they smell from hundreds of yards away. During the Rhodesian Bush War, they were used to track enemy soldiers and scouts over immense distances; this is essentially the same work a SAR dog performs (though with a much better outcome for all involved!). There are a few unique challenges to using Ridgebacks for SAR. The first is their keen sight. They will not only smell things you can never hope to smell, they will also see things you will not see – deer, coyotes, squirrels – and their prey drive may kick into high gear. For this reason, as well as for some behavioral reasons, I recommend that any dog headed for SAR work never be entered into lure coursing. Several of the handlers I work with agree that it may defeat your dog on an actual search. A SAR dog should be able to swim, and can’t be deterred by rain. Air scenting is often the most important component of search and rescue work, but tracking (called trailing in the SAR world) is essential as well. Tracking is difficult to teach once a dog has learned to air scent, as they usually will prefer to air scent. There are SAR certifications for both, but fewer dogs seem to have the trailing certification, and it’s often more sought after during searches. They are great companions, amazing working dogs, and truly love the work that search and rescue requires.